RCT gives the tooth another chance to continue serving. When decay is extended to pulp chamber, it causes inflammation. It can be followed by pain or sometimes it is painless which can be only seen on the X-ray or CT. The inflammated tissue must be removed and the area must be disinfected and cleaned, then filled with calcium for at least two weeks. 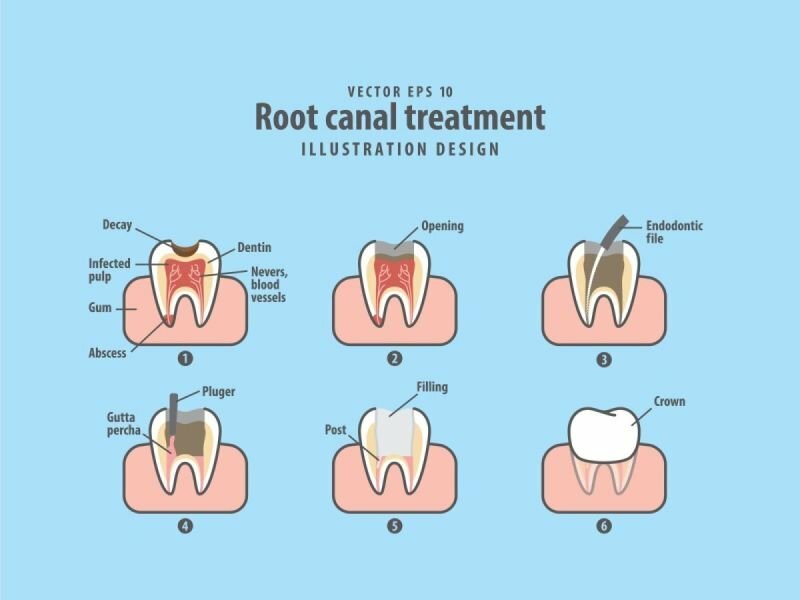 After the inflammation is gone, the root canals are filled with natural filling materials. We often recommend crowns after root canal treatments to strengthen the tooth to last for longer period of time.